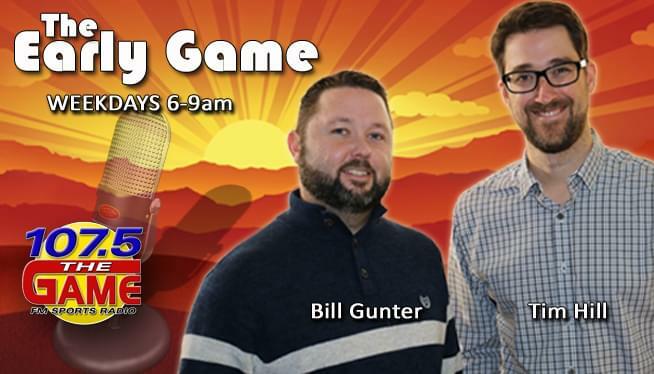 Tim Hill & Bill Gunter bring you The All New Early Game each weekday morning from 6am-9am on 107.5 The Game. The show is produced by Jennifer Jensen. Learn more about Tim Hill here. Learn more about Bill Gunter here.